Cool and Spicy » Marisa says hi! I like the streak with the green ribbon a lot. is it difficult to keep her hair in shape? That’s one nice thing about Beato, as long as I don’t pull out any pieces (*knocks on wood*) her stock look should be pretty easy to maintain. 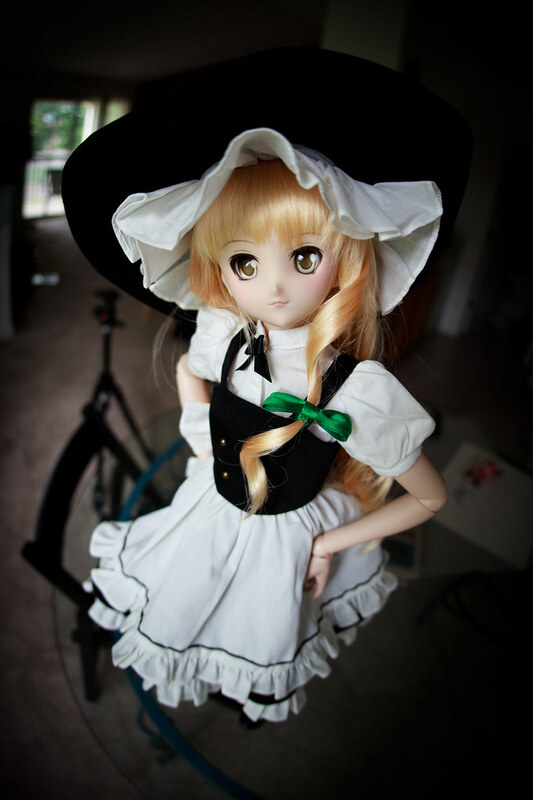 BUT I plan on getting her a long brown wig soon :) I’m thinking I need some curls/waves rather than having it straight. She has that Anime look.